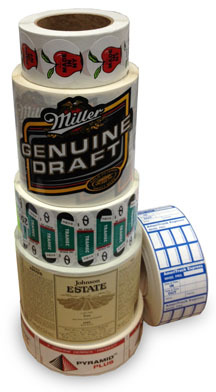 Labels: Blank or with information printed on pressure sensitive (PS) media such as paper, film and foil. Tags: Similar to labels, but generally printed on a heavier stock, with or without adhesives. 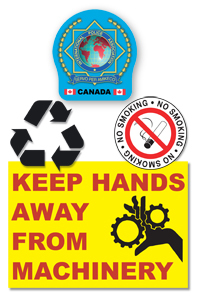 Stickers - printed with information on pressure sensitive (PS) clear and white films. Stickers are sheeted or individually cut for easy distribution to end users. Stickers are generally have shorter production runs and can have special finishing requirements such as special diecutting or doming.